On the 19th (Wed), contemplate the long history of Nathula Pass, make a trip to Baba Harbhajan Singh Mandir, then make a trip to Hanuman Tok, and finally get great views at Ganesh Tok View Point. Get ready for a full day of sightseeing on the 20th (Thu): explore the activities along Tsongmo Lake, make a trip to Flower Exhibition Centre, and then wander the streets of MG Marg. 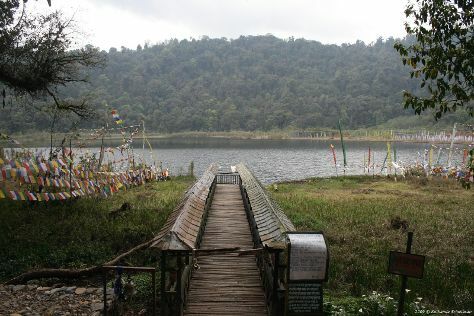 To find where to stay, ratings, other places to visit, and more tourist information, read Gangtok online route maker . Kolkata (Calcutta) to Gangtok is an approximately 4.5-hour combination of flight and taxi. You can also drive; or do a combination of train and taxi. Wrap up your sightseeing on the 20th (Thu) early enough to travel to Lachung. Start off your visit on the 21st (Fri): appreciate the views at Yumthang Valley, take in the awesome beauty at Yume Samdong (Zero Point), and then contemplate in the serene atmosphere at Lachung Monastery. For ratings, other places to visit, maps, and other tourist information, read our Lachung trip itinerary maker . Explore your travel options from Gangtok to Lachung with the Route module. Finish your sightseeing early on the 22nd (Sat) to allow enough time to travel to Lachen. 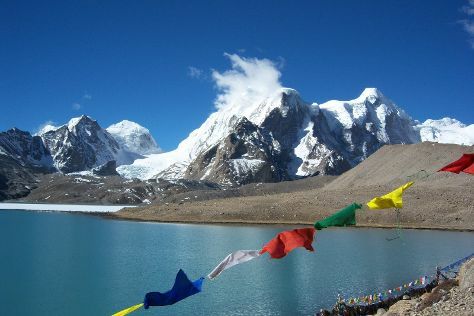 Kick off your visit on the 22nd (Sat): explore the activities along Gurudongmar Lake. To see more things to do, where to stay, maps, and tourist information, you can read our Lachen travel route planner. The Route module can help you plan travel from Lachung to Lachen. In December, daily temperatures in Lachen can reach 20°C, while at night they dip to 1°C. You will leave for Pelling on the 23rd (Sun). 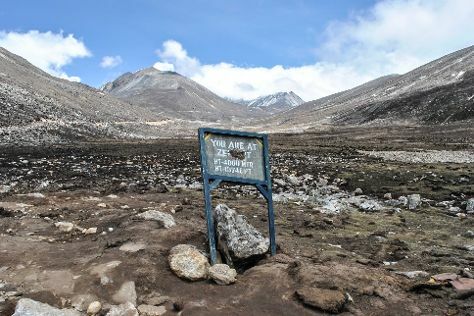 On the 24th (Mon), take in the spiritual surroundings of Pemayangtse Monastery, then contemplate the waterfront views at Khecheopalri Lake, and then admire the sheer force of Rimbi Water Falls. Here are some ideas for day two: take in the views from Singshore Bridge Bungee Jumping, take in the dramatic scenery at Kanchenjunga Falls, then don't miss a visit to Pemayangtse Gompa, and finally admire the landmark architecture of Sangacholing Monastery. For other places to visit, reviews, maps, and tourist information, use the Pelling trip planner. Use the Route module to find suitable travel options from Lachen to Pelling. Traveling from Lachen in December, expect Pelling to be a bit warmer, temps between 30°C and 13°C. Wrap up your sightseeing by early afternoon on the 26th (Wed) to allow time for travel back home.